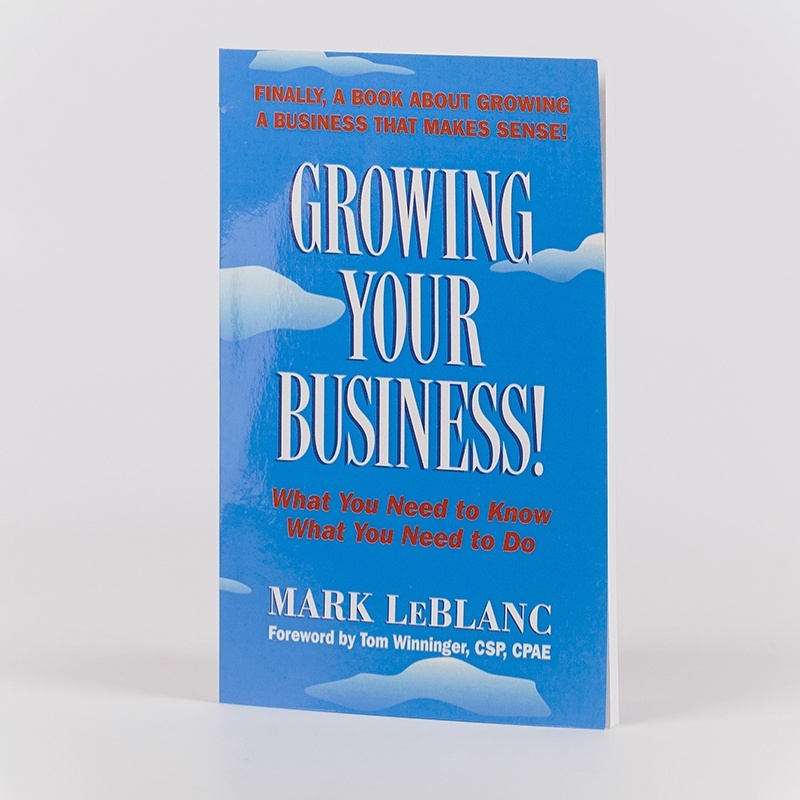 Mark’s book is simple, straightforward, and filled with ideas that you can use to grow your business. The “Defining Statement” is a gem that gets you clear on how to answer the question “What do you do?” He helps you develop a clear and concise business model that you can actually put to use every day. I love his wrapup of the 3 Rs; what can you Realistically do, on a Regular basis to Reach your goals. For small business owners who want to grow their business and professionals who want to sell more products, and services! Learn how to attract more prospects and more repeat and referral business in a unique and fresh new way. This is a little book you can read in an hour, and get ideas you can use for a lifetime! This book is a comprehensive business development philosophy by Mark. His flagship presentation, Growing Your Business! contains the wisdom, insights, strategies, and ideas for taking a business or professional practice to a new level of success. He can serve your organization in a variety of ways, but ultimately, to meet the best of what you need and want. His strategies are street-smart, practical, and can be easily understood and accessed. His content is driven by 16 core principles and formulas, of which, anyone can have immediate impact. When principles and formulas are integrated, an owner can create a wave of momentum that is unstoppable.